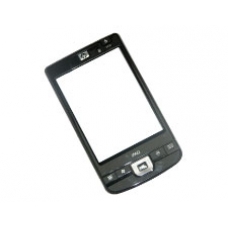 This is the complete front case assembly for the iPAQ 200 Series Enterprise Handheld PDA, this includes the four action buttons, power button and navigation buttons, new front case spare parts are no longer being manufactured this alternative is a high quality original HP reconditioned part. If you have accidentally damaged or broken your original front case plastics, then this is the part needed to restore your iPAQ 200 Series front case plastics. Sadly this case part is no longer produced, as such we only have grade B condition front plastic case shells available. Our B grade front cases are physically perfect with no cracks or chips, however they will have minor surface wear with light scratches.